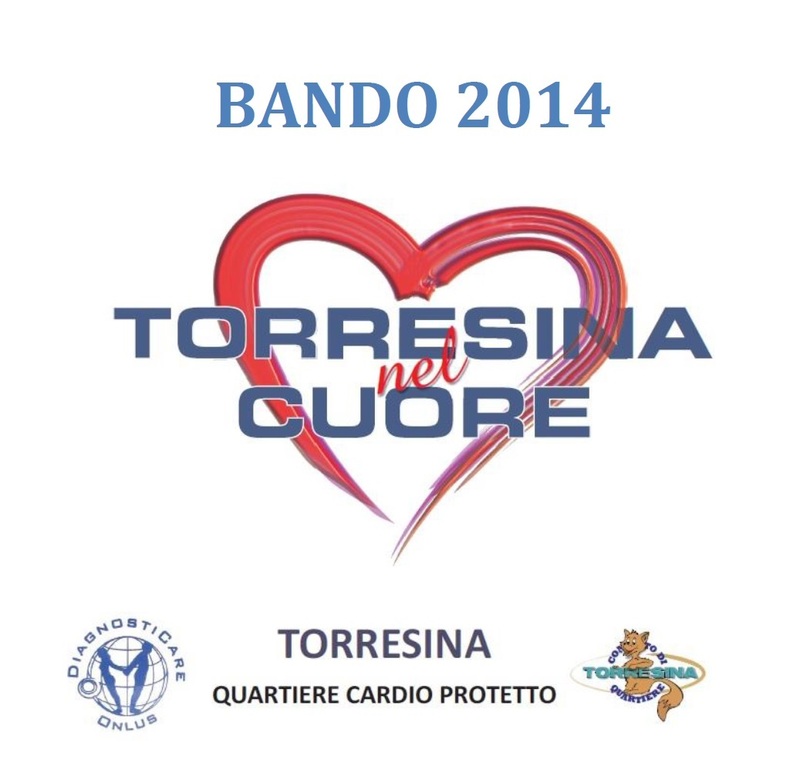 IL COMITATO DI QUARTIERE TORRESINA, IN RELAZIONE AL PROGETTO “TORRESINA NEL CUORE“, INVITA TUTTI GLI ABITANTI DEL QUARTIERE CHE VOGLIONO PARTECIPARE COME VOLONTARI AL CORSO DI FORMAZIONE DI PRIMO SOCCORSO ABILITATI ALL’USO DEL DEFIBRILLATORE (DAE), A RECARSI PRESSO IL BOX SITO PRESSO IL CENTRO COMMERCIALE DI TORRESINA, NEI GIORNI DI MARTEDI E GIOVEDI (ORARIO 10.00-12.00 E 17.00-19.00) PER COMPILARE LA DOMANDA DI PRESELEZIONE AL CORSO. I CORSI SI SVOLGERANNO NEI GIORNI DI SABATO O DOMENICA (INTERA GIORNATA), CON PRIMA DATA FISSATA PER SABATO 25 OTTOBRE; SUCCESSIVE DATE SARANNO STABILITE IN BASE AL NUMERO DELLE ADESIONI. I CORSI SARANNO EFFETTUATI DAL DOTT. STEFANO GAMBIOLI – ISTRUTTORE DI AMERICAN HEART ASSOCIATION – IN COLLABORAZIONE CON LA “DiagnostiCare Onlus” DI VIALE INDRO MONTANELLI N. 103. SI INVITANO TUTTI COLORO CHE SONO INTERESSATI AD EFFETTUARE IL CORSO PER AGGIUNGERSI AGLI ALTRI VOLONTARI DI “TORRESINA NEL CUORE”, A COMPILARE IL MODULO GIA’ PREDISPOSTO ENTRO E NON OLTRE IL 3/11/2014. LA DOMANDA DI PRESELEZIONE AL CORSO POTRA’ ESSERE EFFETTUATA ANCHE ONLINE, A QUESTO LINK OPPURE SCARICANDO IL MODULO REPERIBILE SUL SITO cuore.torresina.net. SI RICORDA CHE I CORSI HANNO UN COSTO ED E’ PREVISTA UNA PARTECIPAZIONE ALLE SPESE ANCHE DA PARTE DEI VOLONTARI.